Contains 67% Seaweed. 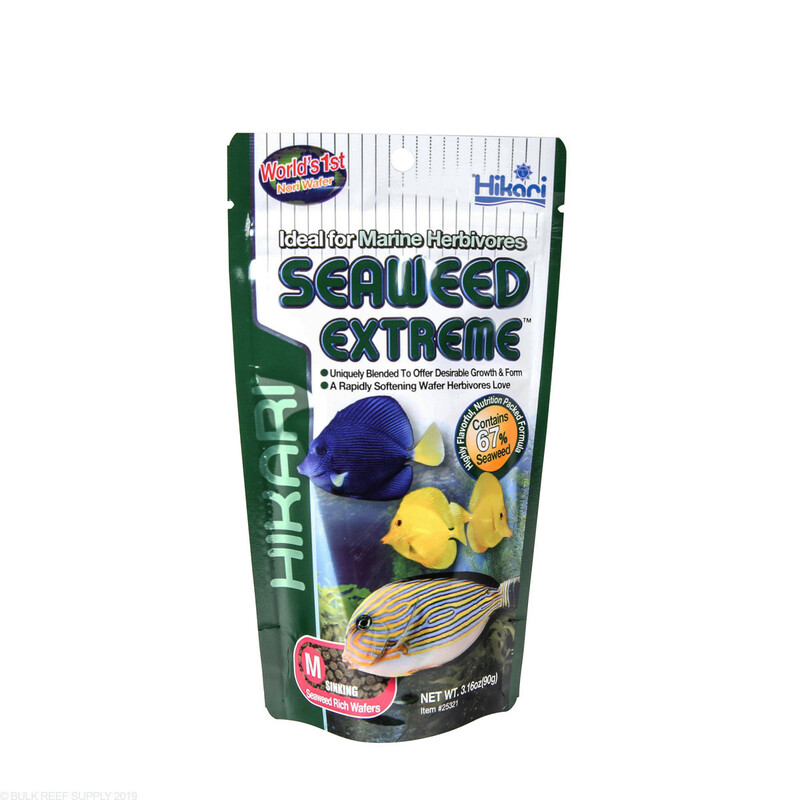 Try Seaweed Extreme from Hikari - scientifically formulated for all types of marine herbivores. Nutrient-rich Seaweed Extreme offers rapid growth and helps support a healthy immune system and coloration. Hikari develops, produces and packages in their own facilities for quality assurance. 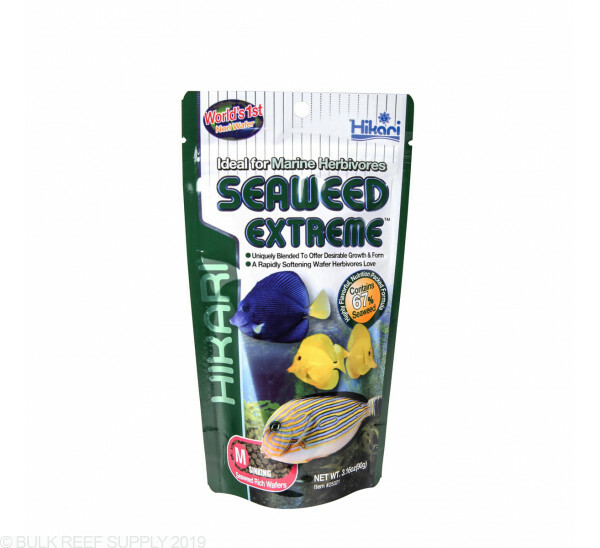 Coloration of product may differ from production lot to production lot due to Hikari Seaweed Extreme containing higher levels of natural ingredients. 1. Feed no more than your tank inhabitants will consume within two minutes - 2-3 times each day. 2. Hikari suggests smaller feedings until you find the right amount for your tank. First of all, I loved this product to begin with. 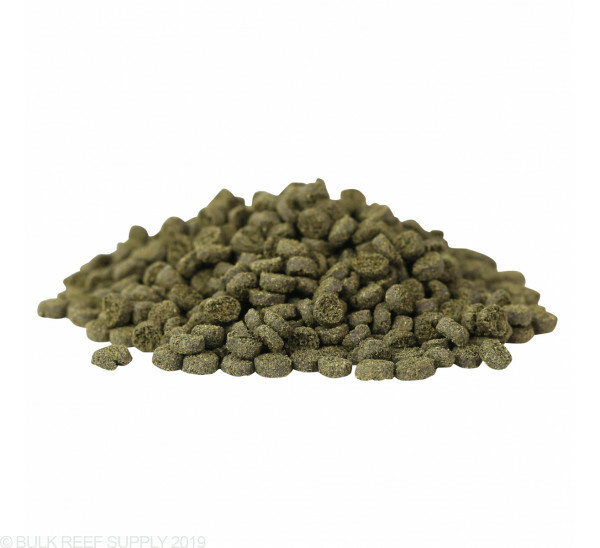 No more sheets of seaweed floating around getting stuck to powerheads/overflows and fish absolutely love the pellets. After feeding these for several weeks I found my 5" kole tang dead. Water parameters perfect, no changes to water chemistry over several months. All other fish doing great. I opened the dead tang's mouth and found that the pellets had clogged his mouth almost entirely. Not sure if they don't break down quick enough in water or if I got a bad batch. Will not purchase ever again. If you do decide to use these, only buy the small ones. I have yet to see a Hikari fish food that fish won't eat. 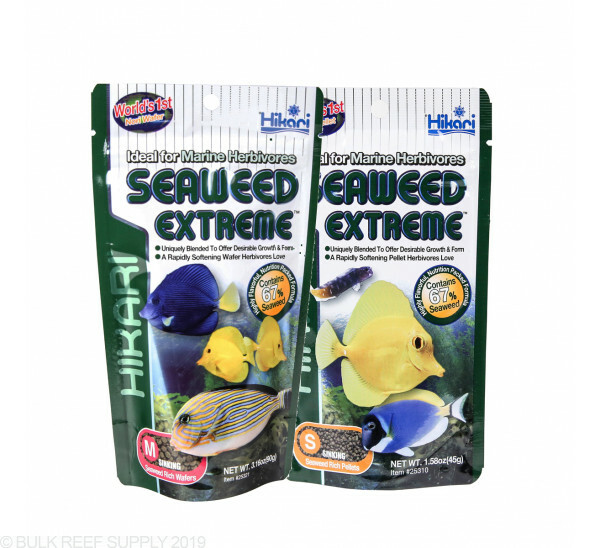 This product, Seaweed Extreme is no different. The tangs do go crazy over it. I've only had my kole tang for 4 days. Nothing has got him to eat like this stuff. He is cruising all over the qt tank sucking these pellets up like a vacuum cleaner. If they ever stop making this stuff I'm going to have to find a 12-step program for my Kole Tang - he absolutely loves this stuff. The other fish do too, but he likes to horde it for himself. I vary his diet with other stuff but he absolutely loves this stuff & never misses a single pellet. I have several varieties of foods, but this has become my 'go to' between My once a week frozen food regimen. Every fish and invert loves this stuff! This stuff is awesome! If I had to only buy one kind of food for all my fish, this would be it. It seems to be a one size fits all. All of my fish go nuts for this stuff and line up to eat when I approach the tank holding this bag. Even my leopard wrasse eats this stuff! All my fish love this food. 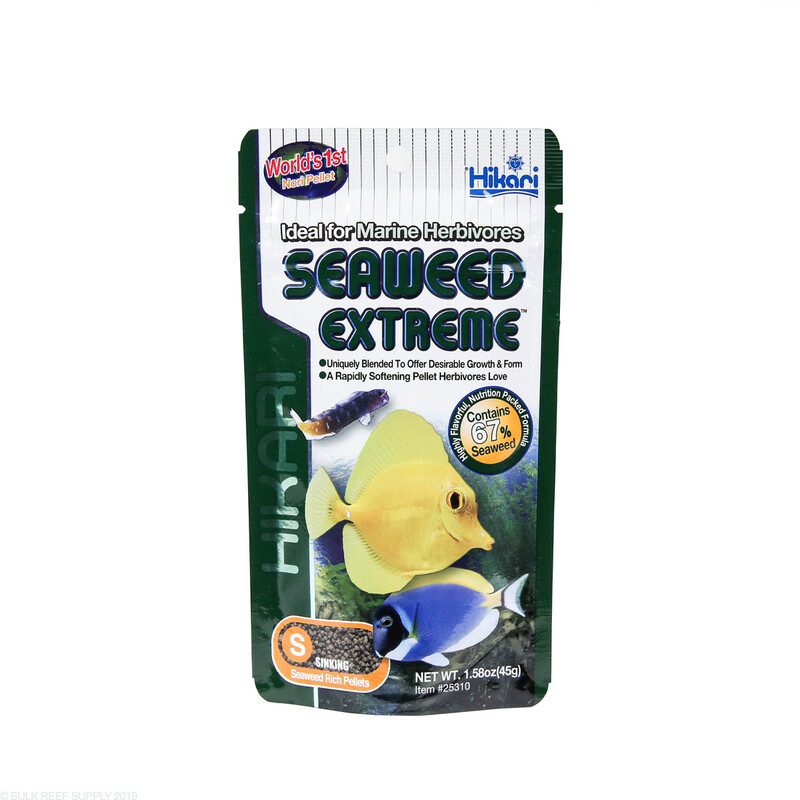 I bought this food for my Yellow Tang, so I wouldn't have to use the seaweed sheets. The Tang was the only fish that consistently ate the sheets, the others would pick at it and then lose interest. When I add the Hikari they all go crazy. I will be buying again. I've got 9 tangs. 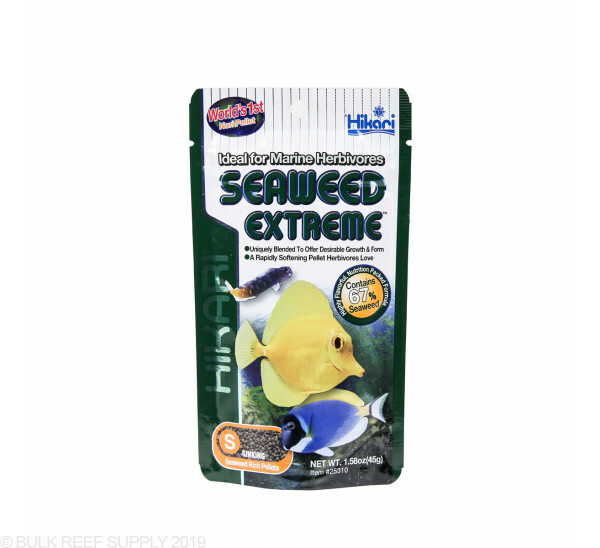 Prefer to feed Julian Sprung Seaweed ( Tangs love the purple the best ) for Daily. Primarily use this on vacations in the fish feeder so it's one less thing tank sitter has to do. I feed a few times a week to keep them interested. I use this food to replace my sheet seaweed and it works great! Keeps my hands out of the tank and like everyone else my tang and foxface plus the clowns love it! The sinking pellets will float for a few seconds and then sink slowly. Most of it gets eaten before it hits the bottom, and the rest gets picked up by my skunk cleaner shrimp and brittle stars. Everyone seems happy. Man fish go crazy when I bring my bag out to feed in between frozen foods. This stuff is great. 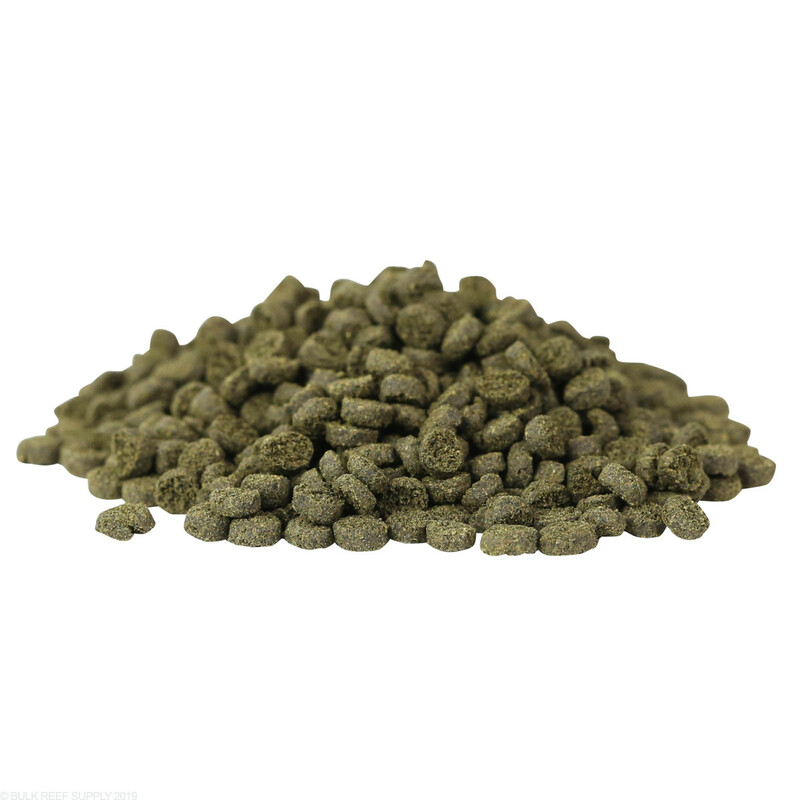 I use this food in conjunction with a dry food float on top of the water. It takes about 10 seconds then it sinks. Coloration and health is great! 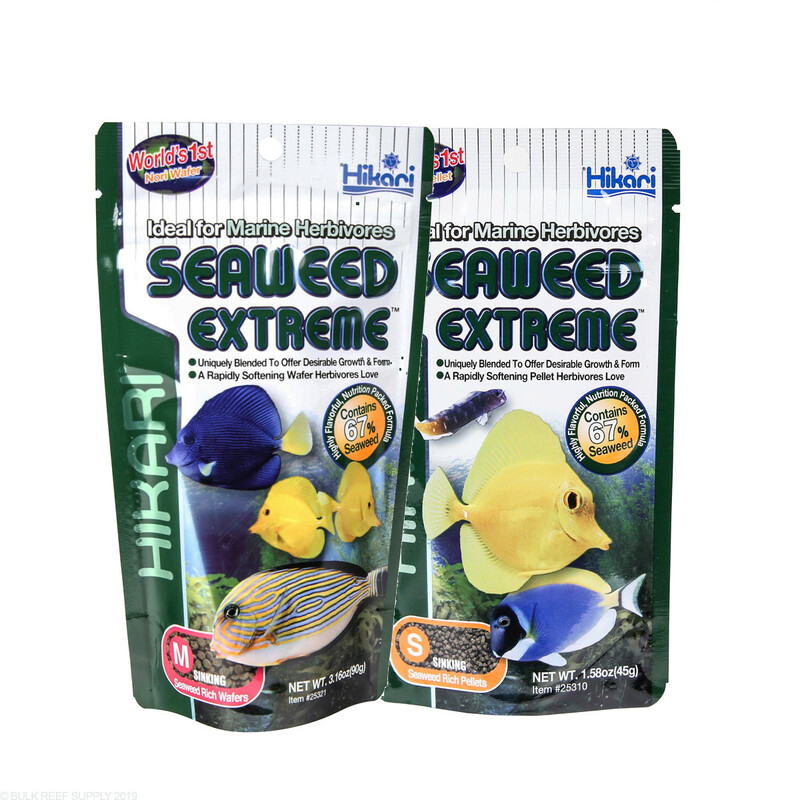 Why did Hikari stop making the mini algae wafers in the large bag? I cant even find them in the small bags anymore. Many of us are disappointed. Thanks for getting in touch with us in regards to this issue. I am not certain why they quit having this product. I reached out to them to see if I can get an answer. I have also included a link to the page I used to contact them just encase you have other questions about the product. Please let me know if there is anyth8ing else that we can assist with. Thanks!